The mayor has a problem. It may be one of perception or of substance, but it’s there. 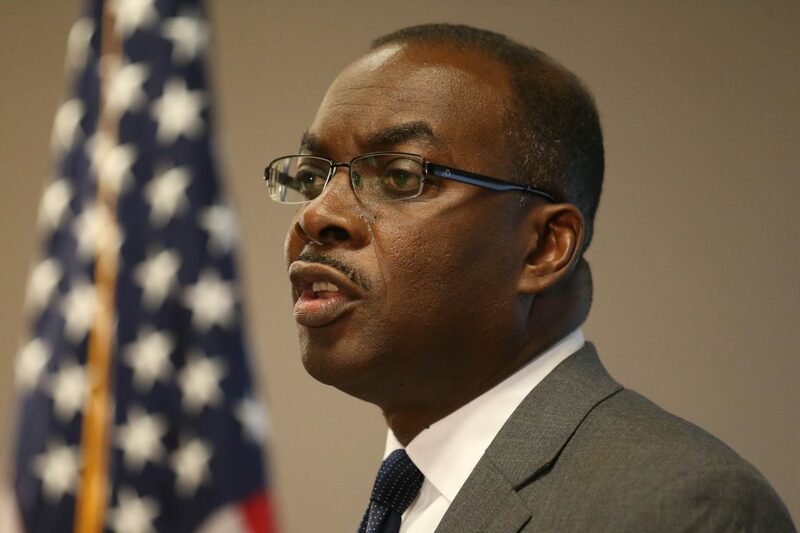 Between the conflict at Community Action Organization and recurring questions about an aborted development project, Byron Brown’s name keeps coming up in unhelpful ways. Together they may amount to nothing more than a suggestion of a hint of shadow. Nevertheless, it’s hard not to notice. The more recent issue involves an aborted housing project that prompted a lawsuit by the proposed developer, NRP Properties of Cleveland. The company claimed Brown scuttled the $12 million project after it refused to hire one of the mayor’s political allies. An appeals court last week gave weight to that possibility. The mayor, it is important to note, has twice prevailed in court, including last week when the 2nd Circuit U.S. Court of Appeals highlighted legal flaws in the lawsuit. Nevertheless, the court claimed there was “substantial evidence” to support the claim of pressure to hire the mayor’s friend. Brown has steadfastly denied any wrongdoing. He also has said from the beginning that his opposition to the NRP project centered on public policy concerns, specifically the rent-to-own theme behind the development. The appeals court last week affirmed the 2017 ruling by U.S. District Judge William M. Skretny, who dismissed the case, citing the principle that city leaders are “immune from civil liability” in such cases. Nevertheless, the judges salted their decision with troubling buzzwords, noting that they were “constrained” by the law and that “it can be reasonably inferred” that the city would have moved forward with the developer had it sent work to the mayor’s ally. Bluntly put, the court thinks it’s likely the mayor was throwing the dice in a pay-to-play scheme. It’s now been dogging him for the better part of a decade. Unless he can somehow dispel that cloud, it’s likely to keep following him. The other issue is more tenuous but still concerning. That involves the mayor’s possible connection to the dispute embroiling Community Action Organization. There, four board members were removed following their attempt to remove Executive Director L. Nathan Hare, friend of the mayor. Attorney Adam Perry of the Hodgson Russ law firm – one of the mayor’s lawyers and counsel to CAO – nullified the board’s decision and then eventually informed four of them they were no longer board members. The mayor and his administration insist he has had no role in the controversy. He has one appointment, a holdover from the previous administration. Yet, there are numerous direct lines of friendship and solidarity going back years. Of course, this is Buffalo and it’s not surprising that government leaders have relationships with other influential people. But when two allies of the mayor are connected to a peculiar set of circumstances at a single entity, the questions are inevitable. A couple of things should happen regarding these issues. Most importantly – and regardless of what happened in the NRP matter – Albany needs to strengthen laws on pay to play. If any public official can legally demand a vendor hire his buddy in order to win a contract, then taxpayers are being abused. Regarding nonprofits that rely on government funds, laws should require a greater degree of openness than they now do. That’s the best way to encourage public support of agencies that spend millions of public dollars. That goes for all public officials, as well, from the mayor to the governor to the president. A regular program of town-hall-type meetings could to a lot to shore up support and to encourage conduct that is above reproach.